Inside In Mind is born out of the innate impulse to make our lives beautiful. We spend an enormous amount of time indoors and our lives are immensely more beautiful when we see our inner self in our physical environments. Your space can and should serve you well, functionally and emotionally. Specializing in Offices, you can expect customized, intentional service with the Inside In Mind. Our Mission is to inspire you to use your power to uplift others. Bryana is cruelty free certified and thats means equipping you to think about the environmental, social, and agricultural impact your purchases can support. Use your power to give power to others! What purpose does this space hold? What energy should this space encourage? What is Inside? "Bryana amazed me with what she was able to do with my Master Bedroom. I was nervous at first but, she helped me visualize her design concept and her confidence helped me trust the process. My bedroom is now a modern retreat full of my photography and keeps me calm for a peaceful nights sleep. I joyfully recommend Inside In Mind! "A taste of Heaven on earth. I now enjoy retreating to my new more organized Office to feel the peacefulness in my little corner of the world." -Linda Webb, ClientFull Service Design and Decoration: Home Office, Hall, Entry, Halls, and Formal Living Room with New Wood Flooring Installed Throughout. Owner and Interior Designer, Bryana Guy, is from Fort Worth, Texas. After developing space planning and interior design services for luxury custom homes in Southlake, Westlake, and Dallas, she started pursuing her dream of Inside In Mind in 2017. She is "fiercely loving" and confident in her ability to help her clients feel known. Bryana's biracial identity is an internal force that keeps her invested in multiracial community and inspiring others to live outside their comfort zone. Bryana has been a natural Interior Designer since she was a child. She was able to gain her Bachelors of Science in Interior Design at Abilene Christian University. It is important to her to be an active member of the industry and to help support the beautiful diverse network of design professionals, dealers, and trades-men & women. 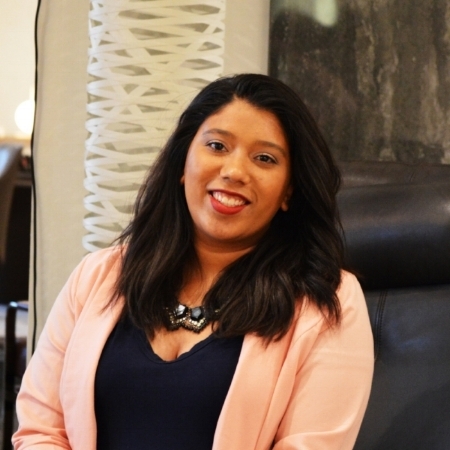 Now, Bryana is the Programs Lead for ASID Fort Worth, The American Society of Interior Designers, and is the most passionate Emerging Commercial Interior Designer in North Fort Worth, Texas. Have you ever thought about how you function throughout your neighborhoods and cities? Through airports and hospitals? Through grocery stores and offices? Architects, Interior Designers, Urban Planners, Landscape and Graphic Designers, all work together to keep people safe, healthy, and smiling! This is the purpose on my Blog, Design + Thrive, I want to discuss the ways culture is impacting the way we design our buildings, interiors, neighborhoods, and cities. With our culture dramatically shifting, I think we will have a lot to talk about! Inside In Mind was Featured in K Magazine! A local Magazine for the City of Keller located just north of Fort Worth, Texas. Read it Here! Thank you Star-Telegram! FOllow ME ON INSTAGRAM AND FACEBOOK FOR DESIGN INSPIRATION AND THE CURRENT INSIDE IN MIND PROJECTS! Bryana was a finalist in The 2015 National Sherwin Williams STIR Student Competition for her project The Field, a restaurant designed to brand a "farm to table" experience based in Kansas wheat fields. As a student, Bryana gained 2 ASID Awards for her work on The Field, as well as for WeThink, a consulting and branding firm. In her last year of college, she lead the community service opportunity, Project Merge. In 2015, Project Merge fundraised and helped a local shelter update their large Community Kitchen with new painted cabinets, a whole new pantry, new appliances, lighting, and a new tile backsplash! All while providing many volunteer hours to the other students at the University. Upon graduation and beginning her career, She was honored to be invited to serve with her local ASID Chapter in Fort Worth. Bryana also serves her Church as a member of their Diversity Task Force, an effort to be intentional about engaging and lifting up a "Multiethnic Church" and multigenerational leaders as a picture of all who are made in God's Image. Every nation, every tribe, every tongue. Bryana is on the path to become a Licensed Designer, RID-Registered Interior Designer, while living her life and philosophy of intentional community. You can find her having carb heavy dessert with her Grandma, volunteering at her local church, studying culture and sociology, and dancing the night away with her friends to the best Disco and RnB Music. Become an Insider to sign up for my Insider Newsletter and be entered to win an E-Design Consultation! We will choose one new winner at the end of the month! You must be an Insider, follow, and share the Inside In Mind Facebook page in order to win! Insiders will have access to my design secrets as well as notify you about new projects, blog posts, and announcements. Thanks, Cupcake! I cant wait to share these GEMS with you, Make sure to follow me on Instagram and Facebook!